Georgia is a first-year apprentice for our structures team in London. She is currently studying at London South Bank University and has been a part of Waterman’s apprenticeship scheme since September 2018. Here, she talks about how her passion for physics led her into engineering and the skills she has learnt so far. I did not always know that I wanted to be an engineer; this is only something I have discovered within the last year. I have always been fascinated and had a passion for science, which is what motivated me to study biology, chemistry and physics at A-Level. After finishing my studies, it became apparent that it was the mechanics modules in physics which particularly appealed to me due to my enjoyment of using applied mathematics to solve problems. This was something which led me to consider engineering, and particularly civil engineering, as a career. I had not heard of structural engineering until I applied for the apprenticeship here at Waterman. I came across the application following an online search for civil engineering apprenticeships and decided to send in my CV, even though I didn’t meet the requirements for having studied mathematics at A-Level; meaning I wouldn’t be able to study a civils degree at university without completing an additional foundation year beforehand. However, I was very pleased to receive a call from Nick Harrison, Waterman’s Group Learning and Development Manager, who informed me that London South Bank University were happy to accept me onto the course based on my performance at GCSE level. After coming for an interview, I was certain this was the job for me; it comprised all the aspects of physics which I had enjoyed at school whilst also utilising the management and communication skills which are predominant in my personality. 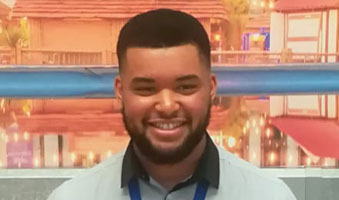 I started working at the Waterman office in London at the beginning of September 2018, beginning my civil engineering course at university a month later. Since joining the team, my colleagues have been very supportive of my development; with my mentor being particularly influential as she helped me complete my first few engineering tasks successfully. 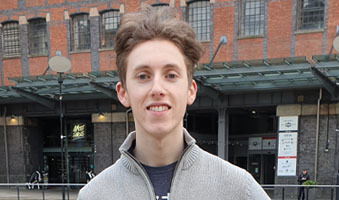 Being in a working environment whilst studying at university has been especially significant to my development as I am able to expand my knowledge and gain further insight from my colleagues to help with the various modules I must undertake in my studies. 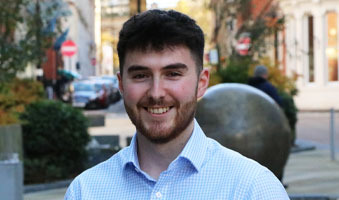 The work I have been given as a new apprentice is broad and varied, allowing me to get a feel for all the different aspects of a career in structural engineering, as well as keeping me engaged in the work I am doing. Some of my day-to-day tasks include modelling structures using computer aided design software, creating and modifying structural drawings, going on site and completing site investigation reports, filing and organising project folders according to the company standards and attending design team meetings. 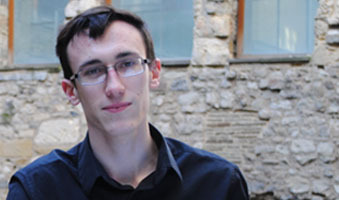 I am particularly proud of having already developed skills in different 3D design software, such as Revit and Robot, which I had never used prior to starting my apprenticeship. This has proved to be beneficial at university as, in the current module, I am exceeding my peers on the same course. For me, the most rewarding part of my job is being part of the relatively new and innovative apprenticeship scheme. Coming from a sixth form where any alternative routes to the traditional university courses were discouraged, I am keen to raise awareness and support for schemes such as the one we have at Waterman. I have taken on roles both in and out of the office which allows me to promote apprenticeships, as well as pushing for any changes that I feel could benefit the scheme for potential joiners. As my journey to becoming an engineer has only just begun, it is hard to say whether the role has met my expectations. By the end of the apprenticeship I hope to be somewhere above a graduate engineer as I would have had 5 years in the industry applying what I have learnt at university within my job. This is something that is unique to the apprenticeship scheme and is extremely advantageous to anyone looking to start a career. I am unsure of exactly what the future holds for me, but at present I am enjoying every day working alongside and learning from experienced professionals in an industry that I am very excited to be a part of.